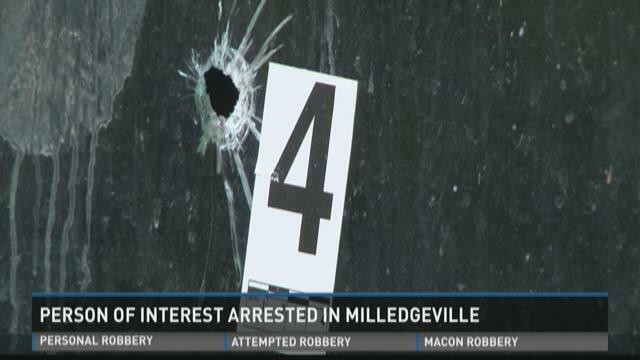 Milledgeville police received a tip Saturday that a wanted man was at a hotel in the city. Two detectives were dispatched to Fairfield Inn and the officers found Craig Barnes in a room with several other people, said police Maj. John Davis. Davis said Barnes was in possession of a backpack that contained suspected ecstasy and marijuana. Detectives also said Barnes threw several items out of the hotel window including two guns that were reported stolen from Cherokee County, Davis said. Detectives also found small plastic baggies, a scale and suspected cocaine in the room, Davis said. Davis added that Barnes is also a person of interest in the spate of drive-by shootings in Milledgeville. More than a dozen properties and vehicles were shot up in recent months in several incidents. Some people, one fatally, have also been shot. 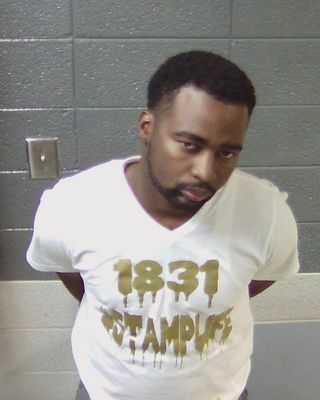 Barnes was arrested on an outstanding probation warrant and also charged with three felony narcotics violations and participation in a criminal street gang. Additional charges of possession of a firearm by a convicted felon, possession of a firearm during the commission of a crime and theft by receiving stolen property will be added to his charges, Davis said. Davis cautions that investigators only have rumors connecting Barnes to any of the drive-by shootings and the investigation is ongoing.